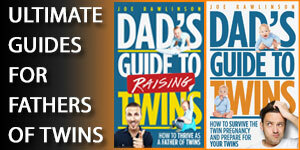 Joe: Hi there and welcome to the 97th episode of the Dad’s Guide to Twins podcast. This is Joe Rawlinson. As always you can find me on the web at twindadpodcast.com, where you’ll find much more information on having and raising twins, along with the show notes for this episode. In fact, you can go back and listen to all previous podcast episodes at twindadpodcast.com. 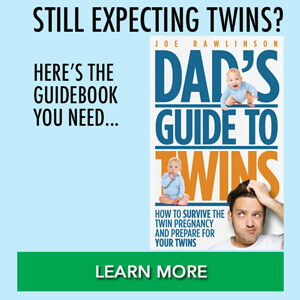 I’m excited to share with you a deal that I’ve made with Audible, where you get a free audiobook version of my “Dad’s Guide to Twins” book. You can grab that at freetwinbook.com. Once again, that’s freetwinbook.com. As you know I love to answer your questions on the podcast, and if you would like to have your question answered on an upcoming episode of the podcast, please call my voicemail number and leave your question. You can call 512-222-9325. 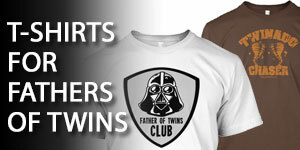 Well, today on the podcast we are continuing our Fathers of Twins interview series. And I’ve invited on the show Stephen Bell, who’s a father of boy-girl twins, and he’s also the creator of a pretty neat website called howmanydiapers.com that helps you estimate just how many diapers you are going to need, what sizes and for how long. Even for twins. So without further ado, let’s jump into the interview with Stephen. On the podcast today, I’d like to welcome a special guest, Stephen Bell. Stephen is the father of boy-girl twins and he currently lives in Oklahoma with his wife and his children. Stephen, welcome to the Dad’s Guide to Twins podcast. Joe: So Stephen, let’s jump back in time to when you found out that you were having your twins. How did that happen and what was your reaction? Stephen: I think most people are really surprised when they have twins, and we do, and we were too. It was kind of a funny start for us. My wife had done this thing in college called a ring test, where you hold a piece of string over your wrist with a ring on it and it tells you how many kids you’re going to have and if they’re boys or girls. She had been convinced since we were dating that she was going to have boy-girl twins. It was funny, when we got into the ultrasound room and they told us we were having twins, our first reaction was just to laugh hysterically. We probably weirded them out quite a bit. Joe: Yeah, that’s nice. I’ve heard of other people having premonitions too, but that’s pretty unique, the ring story. Very nice. The announcement that you were going to give to your friends or family that you were having twins, did you do anything special for that? Stephen: Not really. My family lives in Canada so we just called them from the parking lot of the hospital and real excited and had excited phone calls, but we had done the big unveiling when we found out we were pregnant, so we kind of spoiled the surprise already, I guess. Joe: How much time between when you found out you were pregnant and when you found out about the twins? Stephen: I think there was a month or two. Joe: I mean we had a similar gap. When we got that positive pregnancy test and then there was a period of time before my wife’s first appointment with the doctor that we were blissfully unaware of what was coming and then we saw, she saw the ultrasound and we found out that way. So, once you found out that you’re having twins, what were some of your biggest concerns that you had during the pregnancy? Stephen: Well, we had just bought a house in March, so that was one thing that was nice that we didn’t have to worry about is we already had a room picked out that was going to be a baby’s room and we had settled in there quite a bit. But I guess finances were the biggest thing, just kind of, “Oh, no, double diapers, double daycare, double everything,” was pretty daunting. Joe: Did you all do something to help you overcome those concerns? Stephen: Well, the first thing that we did was, when we started adding it up and decided that my wife probably wouldn’t go back to work just because her salary would go directly to daycare, so we pretty quickly decided that I would look for another job and that we would try to do something different with our finances that way. Joe: Did she keep her job all the way through the pregnancy? Stephen: I guess she probably worked right up until about seven or eight months and then put in her notice then. Joe: But you were switching jobs, right, during the pregnancy? Stephen: I was switching jobs, yes. I had some time off from my old job. I had saved up some vacation time, so that worked out fairly well that I had a few weeks before the babies got here and then a few weeks afterward. So that was good when she couldn’t get around as well, or when she needed more help at the very beginning. Joe: Was she on any kind of bed rest or was it just the burden of carrying twins at the end of the pregnancy? Stephen: Yeah, just the burden of carrying twins, I guess. Helping out a little bit more at home or helping her up out of chairs, that kind of stuff. Joe: So when the time came for the babies to arrive, how far along were they in the pregnancy? Stephen: We made it all the way to 38 weeks, so she was pretty uncomfortable by then. Joe: Yeah, that is a pretty long time to go. Usually twins are coming a few weeks before then. So tell us about the birth experience that you all had with your twins. 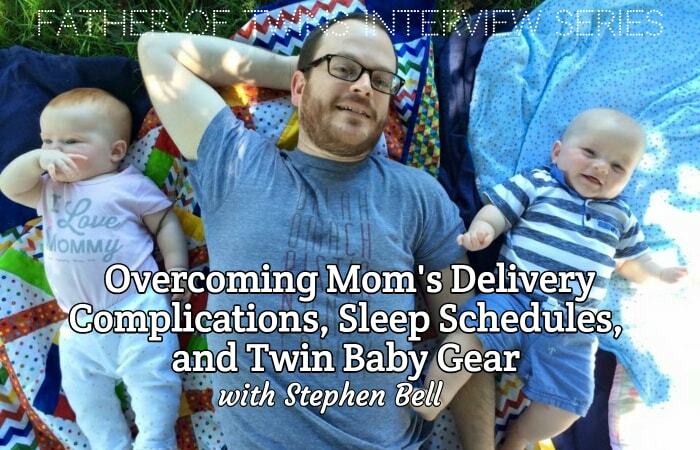 Stephen: Well, I think most people are worried that they’re going to have the twins early, or they’ll be premature, or that they’ll have some serious problems and end up in the intensive care themselves. For us, like I said, we did make it to 38 weeks. The babies were . . . We had the babies by C-section and then they were just two really big, healthy babies. He was 9 pounds 4 ounces, and she was 6 pounds 13 ounces. So, they did wonderfully. What I didn’t expect was that my wife ended up in an ICU for a little while with some pretty serious, scary problems, so that’s kind of the opposite way that most people do it. Joe: Usually Mom’s fine and the babies have the challenges. So, what sent your wife to the ICU? Stephen: She had a lot of internal bleeding and we had had our babies at kind of a small women’s hospital, so our experience was that, it was a really nice place. It had a nursery for the babies immediately, but they had to rush her by ambulance to a bigger hospital that was a few minutes away. So for a little while after the babies were born, they stayed in the nursery at the small hospital and my wife was in intensive care, and then in her own room in this other big hospital, so I got to do some driving back and forth, which was very stressful. Joe: How long was your wife in ICU? Stephen: Probably just a day or two. We were just talking earlier, I think that she had five or six days total in the hospital which is not too bad, but it was kind of touch and go there for a while. They had to do some medical procedures on her that I hadn’t even heard of before. There was something called an embolization, where they inject a whole bunch of little plastic beads into your blood stream to purposely cause some clots to stop bleeding. So, that was pretty cool actually, that they were able to do all that stuff for her and they were able to sort it out pretty quickly. Joe: Yeah, that is a pretty interesting procedure. Were these consequences of the C-section or something else? Stephen: From what they said, I think that it was actually kind of a complication of just going so long. I think that 38 weeks with 2 babies just, there’s lots of blood supply and lots of craziness there, so I think that it was kind of a result of that. Joe: Yeah, poor Mom’s body’s not designed to carry two large babies so long without some kind of complications. 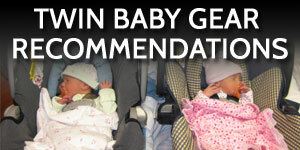 So, once you brought Mom and the babies home, what were some of the things that surprised you most about newborn twins? Stephen: I think that I expected . . . For starters I expected more crying, actually. The movies would have you believe that the babies are just crying constantly or that they’re always a hassle, and that’s not true. They sleep constantly and eat when they are not sleeping and cry occasionally when they need something. It’s not a constant thing like that. I think I was also surprised that they just don’t have any reactions really at the beginning as far as the facial expressions. There was no smiling. There wasn’t any laughing. There was just a lot of kind of staring and looking sleepy. They were adorable and wonderful, but they just . . . That was a surprise to me. Joe: Yeah, it takes a while for them to start interacting with you. That feels like kind of the payoff, the pot of gold at the end of the rainbow when they start to smile and interact with you. After putting in so much, weeks and weeks and months of caring for them, it is nice to start interacting with them. Stephen: My son was funny, when he started smiling, he was always staring at lights and staring ceiling fans, so we joke now that the fan was his first friend that he smiled at. Joe: You had mentioned taking time off work around the birth of the babies. How much time did you get off after they were born? Stephen: I think I had about two weeks before I started a new job. So that was kind of nice, especially when my wife was feeling really rough at the beginning, that I could run around a little bit, and we had some help. My parents came down from Canada for the first week or two as well, so just to have people to pass them off to, or to help with feeding times or any of that stuff. Joe: Absolutely, that was definitely a huge help for us too, having people here to be an extra set of hands with the girls. 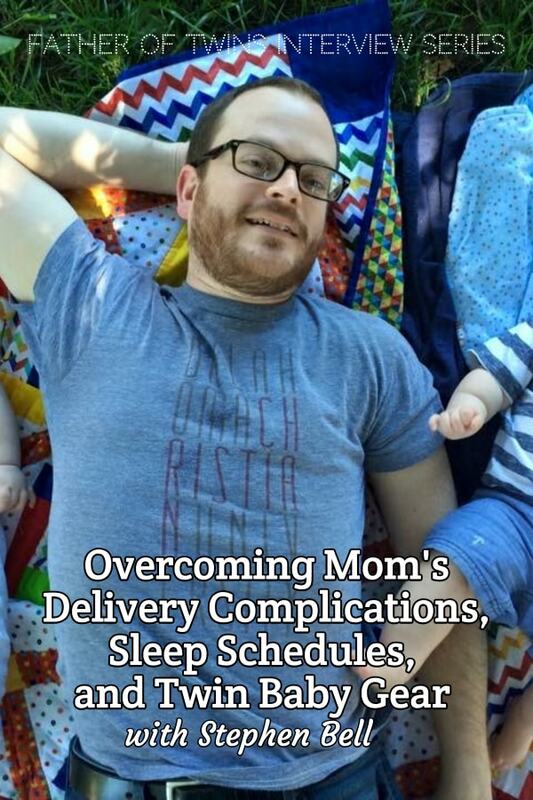 How was it like for you juggling a new job and newborns at the same time? Stephen: I was really stressed out for the first month or two. I was at a new office job for a little while and I would come home and try to play catch up and take care of some chores around the house, to help with feeding and diaper changes and that kind of stuff. I wasn’t sleeping especially well for a little while. I’m a bit of a sleepwalker at the best of times, and when I get stressed out, that kind of gets worse. So when they were newborns, there were a few times that I would wake up sleepwalking, and I would think that the babies were in trouble or that we had accidentally put them in our bed and they were suffocating because I had read all this stuff about SIDS. Joe: That reminds me, I had the same kind of things where I’d wake up in the middle of the night and I would be in a frantic panic that one of the babies was between my wife and myself in the bed somewhere, and I couldn’t find them, but it wasn’t true because they were in their crib, right? But I still had that middle of the night terror that something was amiss. Stephen: We never would have dreamed of doing that, but just ‘cuz I had read about it so much and heard as many warnings about it, it kind of got stuck in my head I think. Joe: Yeah, it’s very interesting how your subconscious plays tricks on you, especially when you start to get very sleep deprived. Any sleep you do get is interrupted by . . . So what was your experience with kind of the sleep schedule of your babies through those first couple months? Stephen: We were actually really lucky. At the very beginning it was kind of feedings every two hours, and my wife and I would kind of trade off. We bottle fed and then later on, it got to where they could go a few more hours. It was around three or four months that they were pretty much sleeping through the night, and I know that we’re really lucky and that’s really unusual. Joe: Yeah, that is pretty good, especially that early. Of course, every pair of twins is different. Each of us as parents get our own individual struggles based on when they’re going to sleep through the night or not. So were you all breastfeeding the babies or bottle feeding them? Stephen: We pretty quickly figured out that when Cara wasn’t feeling well and that when we were just fresh out of the hospital and all the things going on, it just, it didn’t end up working for us to breastfeed. So within a few days of leaving the hospital, we just decided, we know that there are health benefits to breastfeeding, but we just can’t do this right now. There were some positives. It was nice to be able to take turns feeding them and it was nice to be able to involve my parents when they were here, and it kind of spreads the work around a little bit for Mom. Joe: Yes, absolutely. That’s one thing I enjoyed as well of bottle feeding, is I got to actually participate in the feedings instead of just carrying the baby to and from Mom or helping with diapers. That gave me the extra opportunity to bond with each of my girls when I would feed them. So when you look at kind of the baby gear that you’ve bought in anticipation of your twins and since they’ve arrived, what have you found most useful in making your life easier with twins? Stephen: At the very beginning we bought some good car seats. I think it was your recommendation in your book maybe, to buy the snap-and-go that the car seats fit directly into. That was pretty nice at the beginning. I mean it was cheap and it was pretty good at getting kids back and forth into church or other places like that. Now that they are a little bit bigger, one thing I really liked is the umbrella strollers. I wasn’t familiar with those before we had kids, but they are just kind of like lawn chair strollers almost, for lack of a better term, where they fold up real small and they just pop open and they are really cheap and really easy. So that was pretty good. Joe: Yeah, we really enjoyed our umbrella stroller too for those very reasons. Because it’s lightweight, easily collapsible, and you can take it pretty much anywhere. Stephen: I think the one that we’re enjoying the most right now is that the kids at seven months, where they are, they really like jumping. So we have the Exersaucers that they can really jump up and down in, and they’ll do that for an hour at a time sometimes, which I guess is good exercise for them anyway. Joe: It’s always fun to watch them bounce up and down with endless energy, that’s for sure. So is there something that you wished that you had known before you had your twins? Stephen: One thing that we talk about a lot is that we didn’t realize that kids would be so much fun. I think that I worried about it more because I was someone who had hobbies and I enjoy doing hard programming, video games and going running or going for walks or whatever. But the kids kind of become a hobby. Like, they’re really fun just to get their reactions to things or to just spend time with them. So that was one thing that was really a good thing I didn’t realize ahead of time. Joe: Yeah, kids are a lot of fun. That’s true. Sometimes we might dwell on some of the negative or the challenges of parenting, but what’s some of the good advice that you received that’s really been helpful for you as you have been parenting your twins? Stephen: Accept people’s help. Ask for help. Those are really important. When we had been looking at houses a year or two ago, we knew that we would have kids and my wife’s parents live just a mile and half from us now. So if you can, live close to family. That’s really nice to be able to go over there for meals or to have babysitters in pinch, or that kind of thing. Just accept help whenever you can. Joe: Absolutely. 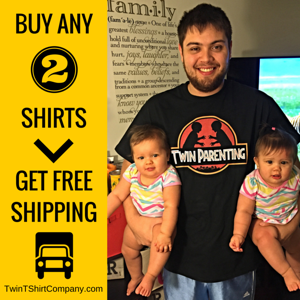 You can never get enough help, especially in those early months with the twins. So you said that your kids are seven months old now? Is that about right? Stephen: Yeah, they are seven months old. Joe: What’s some of your favorite things about this age? Stephen: They started laughing a lot, and both of them are at the babbling stage where they’ll start stringing things together, lots of “dadad”s, which is really fun for me, and occasionally “mama.” Sometimes it even sounds like they’re stringing together whole sentences. They just start talking and they talk loudly sometimes. They really enjoy the sounds of their own voices, which is really funny sometimes and it’s not so funny sometimes. Joe: That is right. It’s fun to watch them interact with each other and how they communicate with each other, even when they’re very young and can’t actually speak English yet. It’s very fun to watch them. So when you’re out and about with your family, what are some of the most frequent questions that people ask you about your twins? Stephen: People ask . . . The typical question is, “Do twins run in your family?” And I have to tell them, “Yes, a little bit.” I had a cousin who had fraternal twins and then identical twins. That was pretty exciting for them, but I kind of hope that’s not in our future. People ask us, they comment on my daughter’s hair all the time. She has bright red hair and he’s kind of bald going on blond. It’s funny seeing people’s different reactions to babies that look a lot different than each other. Joe: So, your babies were fairly different sizes when they were born, right? Have they caught up to each other or are they still different? Stephen: She’s been pretty consistently about two pounds lighter than him. Sometimes if we have sleepers that are not clean for her, she’ll wear some of his. We can kind of jump back and forth a little bit with babies that are almost the same size. Joe: So if you could give one piece of advice to a father who’s expecting twins on how to keep his marriage strong through the pregnancy and through those early months with twins, what would you tell to that dad? Stephen: I think just to communicate frequently and honestly, and to kind of set expectations for each other. You really have to listen carefully. It’s hard sometimes not to want to just sit back when you are at home, watch TV or that kind of thing, and that’s not really an option. So, just to take the time to do what needs to be done. There are a lot of little chores and things that are kind of thankless jobs, but you have to do them and you kind of find that maybe that’s some good time to yourself anyway. Joe: So are you working out of your home or do you have an office somewhere else? Stephen: We’re working out of our home now. Not too long after the kids were born, we decided that we would start our own small business, so my wife and I have a graphic design and web development business. So that’s another good reason for good honest open communication, is we pretty much work together and spend time together all the time. So, that’s been an adventure too. Joe: Yes, I bet. How do you balance taking care of the kids and juggling work commitments at the same time in the same location? Stephen: One thing that we’ve done is I tried working from the back bedroom for a little while and I just found that it really stressed me out to have to, if the kids are crying, do I go find out what’s going on? Do I help? Do I keep doing what I’m doing? So, there’s a library about a mile and a half from us, so I go work from the library for a few hours at a time, which kind of separates work life from home life sometimes. Joe: It sounds like me. I was just at the library this morning for that very same reason. It’s kind of the office away from home, which is good to get that separation, because it’s hard to separate your job as a dad when you hear your kids and your desire to help them or help your wife with the kids, when you’re supposed to be working at the same time. It’s kind of a challenge to juggle that. Do you and your wife take turns watching the kids while the other one works, or how do you trade off back and forth? Stephen: Sometimes. I think that we’ve kind of landed on, I’m kind of a full time worker and a part time during the day dad, and she is kind of full time with the kids and part time at work during the day. But sometime she will have her own projects, some design stuff or whatever, and I’ll give her the afternoon to go to the library herself or to go spend some time at a coffee shop or that kind of thing. Joe: Do you have any other things that are working for you right now with parenting your twins that you think would be good to tell and share with other dads? Stephen: Again, us being around the house all the time and spending so much time inside, I think whenever you can get outside . . . You know, you aren’t going to feel like getting out to go spend some time with friends or to go to church, or to go for a walk or that kind of thing, but all of those things will save your sanity if you can get out and get a little bit exercise or that kind of thing. Those things are all good for stress, and they’re good for the kids to have new experiences if they go with you. It’s just really good to not be in the house all the time. Joe: I agree. In retrospect, it seems like it’s easier to get out when the kids are little. When you can just pop them in the stroller or in their car seats and go, but when you’re in the moment, it’s hard to see that because you think of the hassle of getting them ready to go, loading them up in the car. But once they get a little bit older and start to have more mobility challenges where each wants to go in a different direction, becomes a little more of a challenge. I think your advice is right on, of getting out of the house and getting experiences. It’s good for them, and it’s definitely good for you to break out of the cave of being just trapped at home with the kids. So Stephen as we wrap up today, if listeners want to get a hold of you and connect with you, what’s the best way to get in touch? Stephen: You can get in touch with me @Stephenjbell on Twitter, or at steedokc.com which is our small graphic design business. Joe: Excellent. Well, thank you Stephen, for sharing your story with us today. I really appreciate it. Joe: Well, that wraps up the interview with Stephen for today. I will include links to his contact information in the show notes over at twindadpodcast.com, and you can also go and visit his website, howmanydiapers.com. If you have enjoyed the show, will you please do me a favor and leave a review on iTunes, because it will help other parents just like yourself, find the podcast. I would greatly appreciate it. 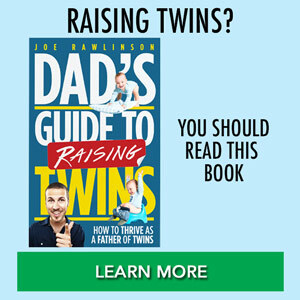 Remember that if you would like to have your question answered on the show, call my voicemail number, 512-222-9325, and don’t forget that you can grab a free audiobook version of my Dad’s Guide to Twins book at freetwinbook.com.